With love, respect and best wishes for continuing joy in a life well lived. I agree with you 100% Andrew.. she has been an amazing influence in my life.. the 'gifts' are never ending. Andrew, you write beautifully about Martha. I share your feelings about how remarkable Martha is. It is strange how one person can change so many things in our lives. 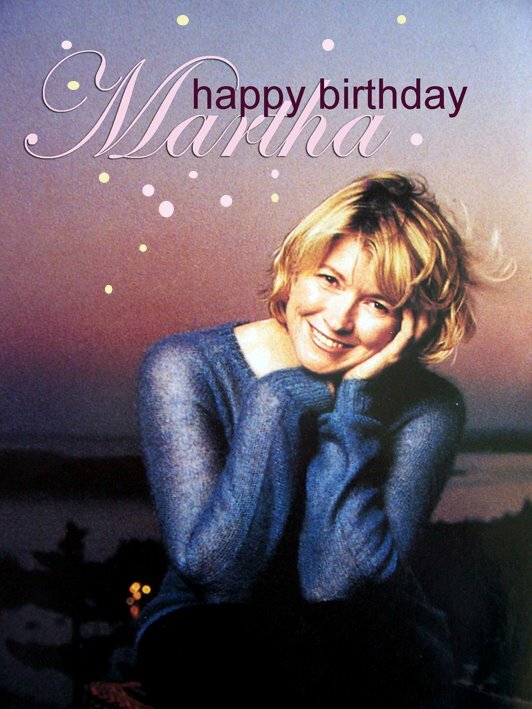 Does Martha still throw a "Leo party" to celebrate those friends of hers who also have August birthdays? she used to have give them at Skylands, if I remember correctly. But maybe that's all changed now that she's so ensconced at her Bedford estate. Does she still go to Maine in August? Does Martha still throw a "Leo" party for those friends who also share an August birthday? She used to host them at her Skylands estate, if I remember correctly. Does she still vacation in Maine in the summer?